It’s the most wonderful time of the year and no I’m not talking about Christmas. CFL fanatics across the country are getting ready to converge on the host city of Edmonton to attend Canada’s biggest national party of the year, the 98th Grey Cup Classic. While the teams that will be in the game are yet to be decided, Grey Cup week has a full schedule of events to choose from for fans. If this is your first Grey Cup, prepare to get hooked. This will be my 6th in a row, making me a mere rookie when it comes to some of the people I’ve met over the years, some of them going on twenty-five or more in a row. It was their passion and the friendships I’ve made that have kept me coming back. Edmonton should put on a great party, and it’s a challenge to fit everything into the four main days of the festivities. 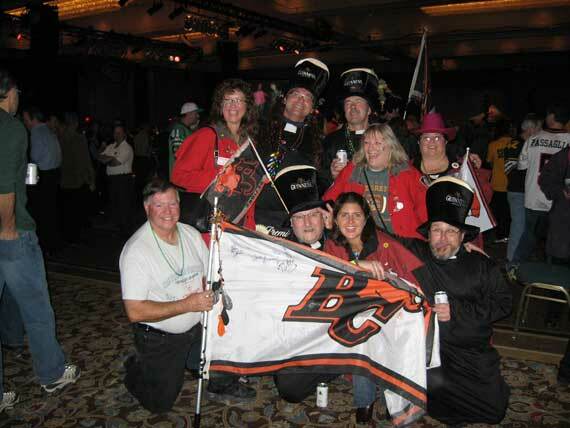 To try and help you get the most out of your experience in Edmonton, here are my five must do events for Grey Cup 2010. Hands down the best hospitality room at Grey Cup and it’s also the most popular. With many fans arriving Thursday, the opening night at the Spirit is a great night. Old friends descend on the event all in their team colours. The Spirit has live music, reasonably priced “sociable’s” and a great atmosphere. As with most of the rooms, there are also appearances by all the teams cheerleading squads, various pep bands and the occasional CFL player mingling with then fans. Despite being an “Edmonton” room, the Spirit is the home base for fans of all teams to mingle, meet and party together. It has a different vibe than many of the other rooms, and the organizers of this event do things right. A word of advice, get there early or be prepared to stand in line, especially on Friday and Saturday night. Oh and did I mention it’s free? This year’s event is at the Westin in downtown Edmonton and runs nightly from Thursday to Saturday, opening at 4:00pm. Like the Spirit of Edmonton, TD Manitoba is also a popular event and a must attend event for me at Grey Cup. Themed after a prairie “social” this party features the flavor of Manitoba with a nice lunch featuring deli meats, cheese, pickles and Winnipeg Rye bread. Tickets are $15.00 at the door for this well attended event that will take place on Friday, November 26th. Yes, it makes the list mostly because it’s my home team’s party, but it also makes it because it’s a damn good party. 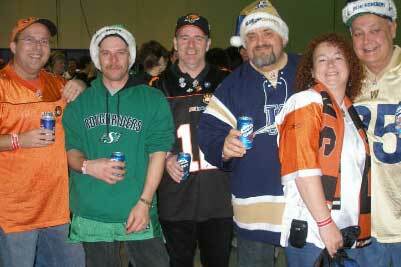 Since 2006 the Lions Den has gotten better and better at Grey Cup and this years 2 day event should be no exception. The team has taken the event back to a hotel, The Fairmont Hotel MacDonald and live entertainment Two For The Show will once again be getting the dance floor going. The event usually features an appearance by coach and GM Wally Buono, the Felions, owner David Braley and whatever Lions players might be in town. You can expect a few renditions of Roar You Lions Roar and a lot of orange and black at this party. The Lions Den runs Friday, November 26th from 4:00pm t 10:00pm and Saturday, November 27th from 3:00om to 10:00pm. Tickets are $10.00 at the door, and all attendees will receive a collectors pin from the event and have a chance to win some door prizes. We’ve blogged bout this play before, and it’s written my my good friend Linda Wood Edwards. You don’t get a chance to watch a funny and well written play at Grey Cup very often, and Linda’s play gives you the chance to do just that. 4 guys x 20 football seasons = 80 years of bonding, rituals, and winning. Subtract 1 guy, add a lovely stranger, and risk breaking the streak. Join these devoted fans as they lose and rediscover their faith during an ill-fated season. Superstitious fans of any team, not just the CFL, will relate to the roller coaster season portrayed in this comedy! 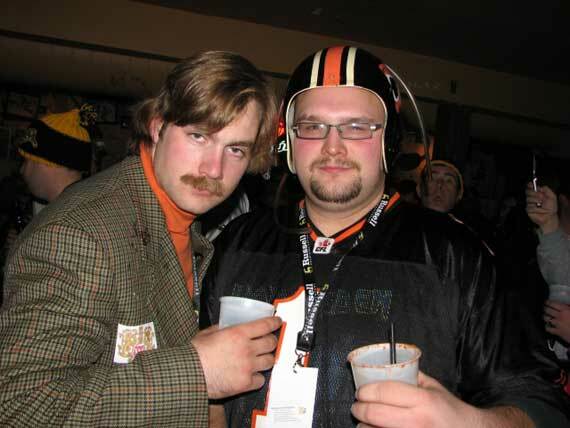 My Grey Cup trip isn’t complete without a good old fashioned room party. When the official parties shut down, those that can still function usually hit the hotel rooms. Don’t be surprised if you’re invited to a room party and meet some great folks in the process. You’ll hear some great stories from Grey Cups of the past. Room parties are a relaxing way to wind down a long day, before the sun comes up and you start all over again! Of course there are a ton of other things going on, from street festivals, beer gardens, not to mention Tiger Town, The Double Blue Bash, Riderville, Stamps House, Als Huddle and so on and so on. It’s tough to get to everything, and these are just my personal favourites. Pace yourself and do as much as you can! Leave a comment! Tell us your “must do” list for the 98th Grey Cup!